to order click blue link below to visit our ebay shop. ​Please scroll down for vital information. 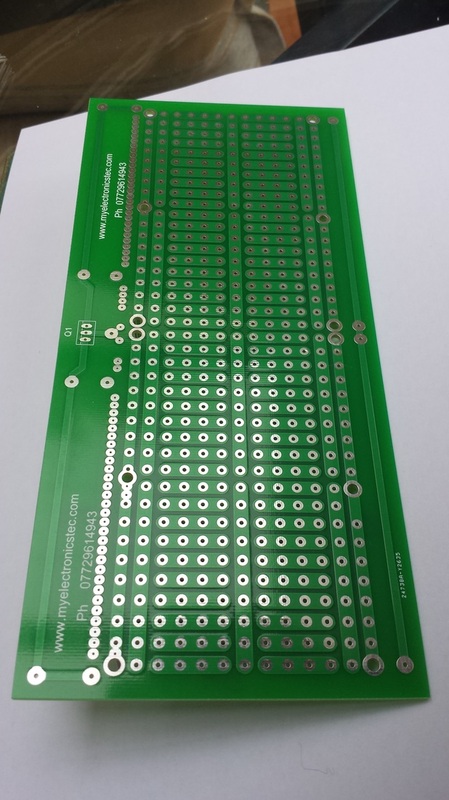 Myelectrinicstec.com design custom made bespoke circuit boards for clients. Often we need to build a prototype circuit prior to designing the artwork. Traditional products would not take larger components such as terminal blocks, voltage regulators, large bridge rectifiers and many more components. Out of frustration our engineers designed a purpose built mock up board that combined vero type products and traditional tag strips. While we had a clean slate we designed it to look professional. 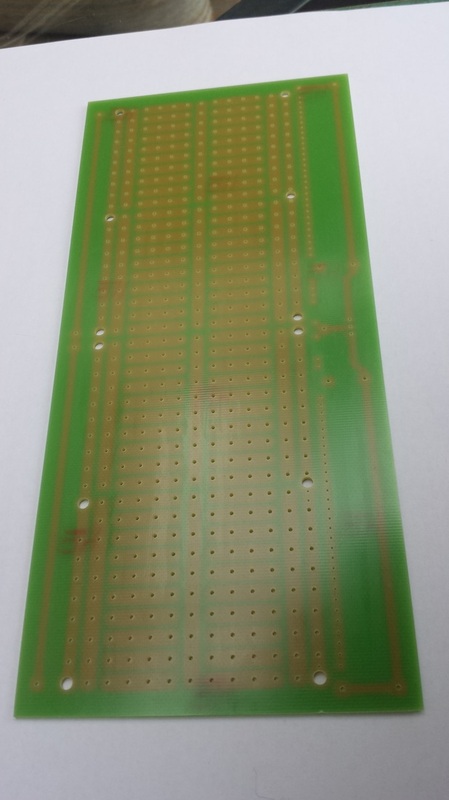 It needed pre drilled mounting holes for nylon standoff blocks.Smart board is proudly designed right here in the UK by qualiffied electronics engineers. As featured in every day practical electronics magazine. Click on the blue link below to visit our ebay shop to order your Smart Board today. Size 98 mm wide. 213 mm long. ​Tin coated to resist corrosion. Coated in solder resist to prevent accidental solder shorts. 8 x4 mm mounting holes for stand off blocks. Accepts 5 mm spaced mounting blocks. Accepts 3 terminal regulators and FETS, including transistors like TIP42. Can be cut in two. Made from quality PCB fiberglass. To order click button Ebay shop button above. Click here to visit our Ebay shop now.